The manufacture of oral solid dosage forms has had to progress rapidly to keep pace with the ever-growing demand driven by developing markets to produce tablets for the masses. Innovations introduced by leading tablet tooling and pharmaceutical manufacturers have advanced tablet production to ensure this demand is met. One method that has made a huge impact on tablet production is multi-tip tooling. 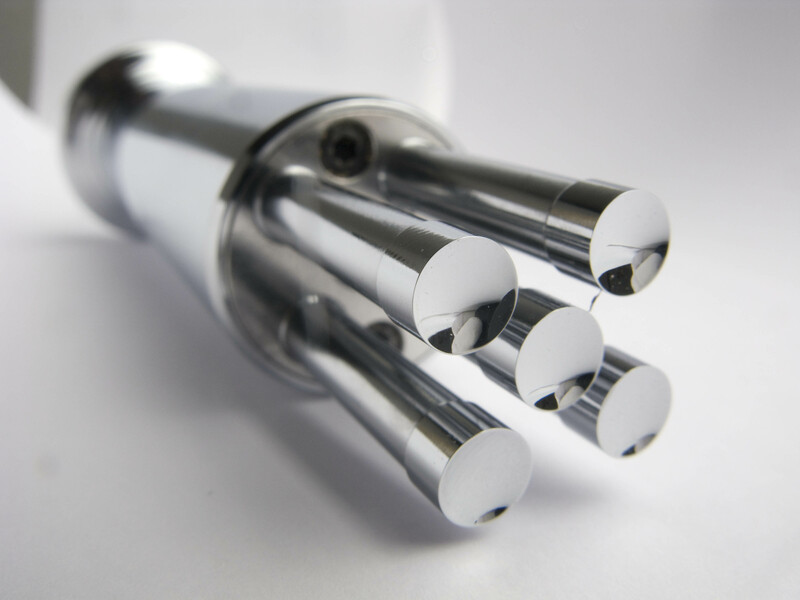 Although it is not a new technology, multi-tip tooling has only been widely adopted in the pharmaceutical industry during more recent years. It has transformed the quantity of tablets produced and it is now considered the most productive form of tablet manufacture where it can be applied. Multi tips have transformed the production of tablets into a process that allows manufacturers to deliver them quickly, efficiently and at a lower production cost. Successful implementation of multi-tip tooling can reduce the need to invest in expensive tablet presses, therefore reducing the overall capital spend. The number of tool set-ups required per production batch can also be reduced and product batches are completed quickly decreasing the overall production time. It also benefits tablets which need to be compressed within a very short time of the formulation being prepared. So, what exactly is multi-tip tooling? Multi-tipped tools are punches with more than one tip, ranging from a simple two tip punch to one with on average 26 tips per punch face. This number can however be increased depending on the design of a particular dosage. Almost all presses can accommodate multi-tip tooling, but any press being planned for multi-tip production must be in good working order with no significant wear in the turret area, including punch guides, keyways and die pockets. The cams should also be replaced if there are signs of excessive wear or degradation to prevent damage to the punch heads. Consideration should be given to the compatibility of the press with multi-tips. The upper turret must have a keyway in the guide to ensure alignment with the tooling. Although the lower turret guide does not require a keyway because the tip remains captive in the die, a keyway on the lower turret is recommended when using a higher number of tips, as it helps in the setting process and avoids damage to the lower tips. Attention should be given to the feeder paddles as they may have to be modified to ensure the amount of formulation is correct for die filling. Also, look at the tablet ejection system as it has to receive larger production volumes. The setting of multi-tip tooling is the same as the setting of shaped punches. You should use a fitting tool to ensure that the dies are in the correct alignment and that the guides and die pockets are not out of position or worn. Care must be taken when fitting the tools to the press to avoid causing damage to the tip edges, as this will cause other problems to arise during compression. It is important to look at the formulation being compressed when using multi tips as it must have the correct characteristics to work successfully. Granulation flow is important as there will be the need for increased fill. If flow into the die is not at an optimum level, and the correct speed, then the use of multi tips will be affected and productivity increases will not be as high. Modification of the feeder mechanism may be required to increase formulation flow, allowing for optimum press speed to be maintained. Alternatively, the speed of the press being used may need to be reduced to allow extra time for the fill to take place. Particle size is another important factor. If there are high percentage of fines, problems typically experienced when using single tip tooling can be multiplied. 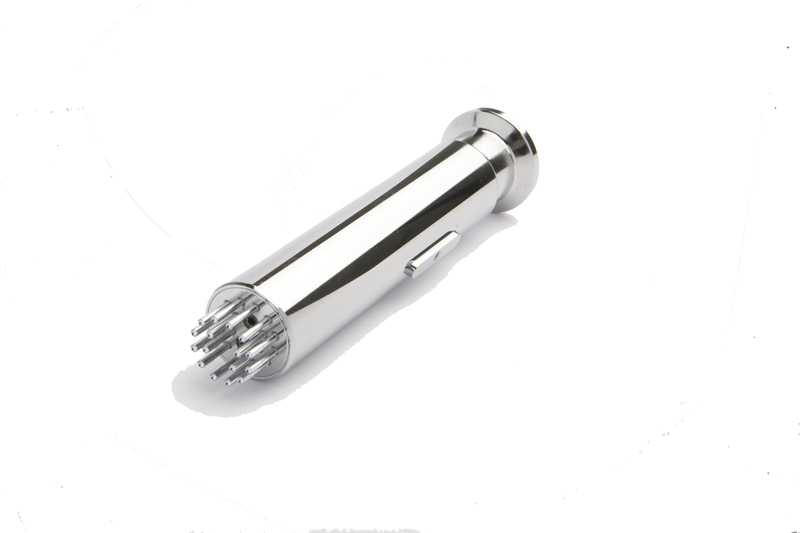 The particle size must be within certain limits for the tooling to work effectively; however, with modification to features of the tablet design, like tip length and types of undercut, and changes to the working tolerances, multi tips can be accommodated. 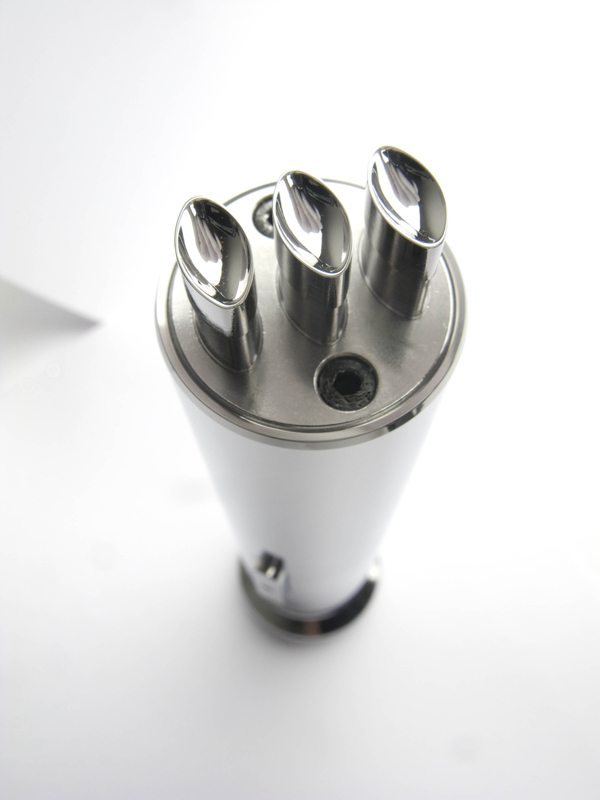 Multi tips can produce most tablet designs, but this is influenced by the press and tool type capabilities. You must look at the tablet size to evaluate the number of tips to fit the punch. Shapes such as ovals can be more challenging to arrange while delivering a robust tool, optimising die filling, and tablet take-off positions. The tablet size in relation to the punch type dictates the number of tips per punch. With tablets moving towards the ‘micro’ size, which can be produced quickly using punches with many tips, this design is growing. Any tip size of 4mm and below is considered a micro tip. Tablet diameters of this size can represent a challenge to the tooling design and it may be necessary to incorporate reinforced punch tips to prevent bending during compression. This means fitting restricted fill cams that control and limit the movement of the lower punch to restrict the depth of fill. This prevents the punch tip from dropping too low in the die bore. Recessed dies must also be incorporated into the design to accommodate the reinforced tip, preventing it from meeting the die bore. If your requirement for tablet manufacture is to increase production capacity within a short time frame, multi-tips are considered to be the best solution, and the key driver to increased tablet production. They can eliminate the expense and time delay that can be experienced waiting for new capital projects to be approved and implemented. They can also drive a reduction in plant running costs without decreasing output and reduce the time required to get them to market. With the combination of correctly designed tablets and well manufactured multi-tip tooling, using the correct raw material and coatings, the use of multi-tips is the obvious answer to greater productivity, and a reduction in run-time per output of tablets, leading to less maintenance per batch and reduced press set-up time, which in turn reduces costs. Steve Osborn is with I Holland.